Use this cool chart to compare how tall your students are. 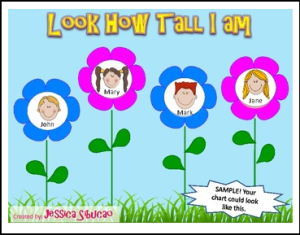 This chart could be used to discuss: Tall (-er, -est), Short (-er, -est), All About Me Theme, Spring Theme, Measurement, etc. Pls. leave a feedback. Thank you.